When the Ford Mustang was first introduced in 1964, it became the first true American pony car, creating a segment that was all about speed and muscle. 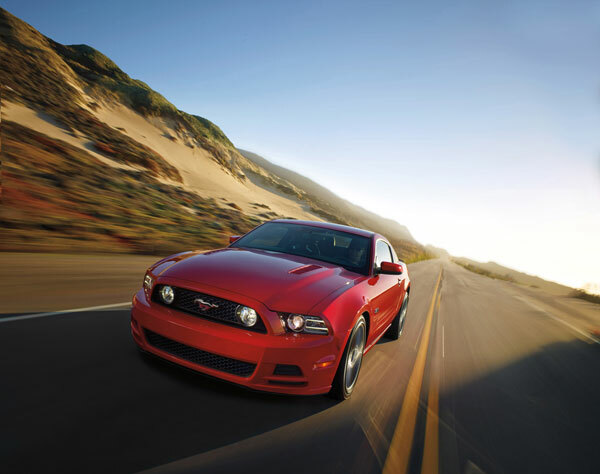 Even now the Ford Mustang is thought of as America’s car, becoming an iconic image in our country’s history. The Mustang was first introduced five months before the start of the 1965 production year on April 17, 1964, at the New York World’s Fair. Production for the Ford Mustang began on March 9, 1964 in Dearborn, Michigan, kick-starting Ford’s most successful automobile launch in history and cementing it in the beloved position it holds even today. The first Mustang was inspired by the World War II P-51 Mustang fighter plane, giving it the characteristic long, lean shape of a ‘Stang. Now in its sixth generation, the Ford Mustang has transformed over the years while still keeping the familiar horse shaped badge. Though it was first offered with a very basic trim level and powertrain, the Ford Mustang now offers a variety of trims and engine options, including Ford’s EcoBoost engine. When the Mustang was first introduced, it was automatically a winner, becoming the first automobile to ever win the Tiffany Gold Medal for excellence in American design. The Mustang was also placed on the Car and Driver Ten Best list in 1983, 1987, 1988, 2005, 2006, and 2011. It was awarded the Motor Trend Car of the Year award in 1974 and 1994, while it was runner-up for the North American Car of the Year in 2005 and named the Canadian Car of the Year.